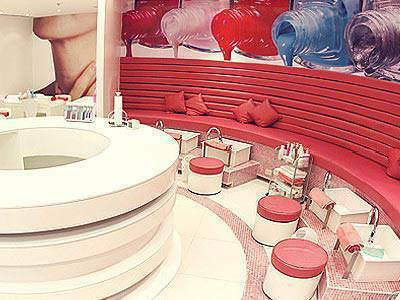 SPOT.ph's list tells you which nail salons in the city have put their best foot forward. 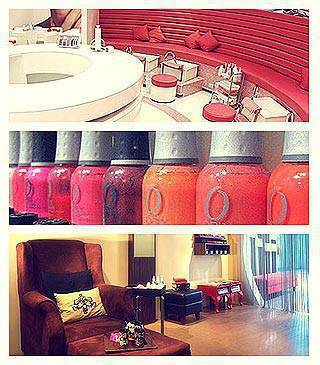 How much to shell out: A basic Diva Manicure goes for P250, while a Pedicure will cost you P300. 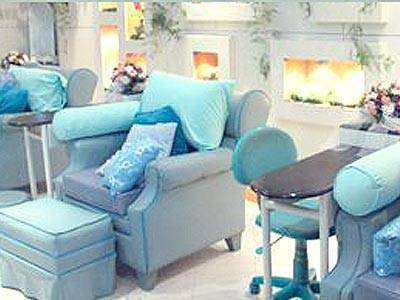 A full on spoil yourself All-Out Diva Manicure/Pedicure Combo amounts to P1,475. The lowdown: Unlike other nail salons that prefer a Zen ambience, Dashing Diva’s vibe radiates the hustle and bustle of city girls on the go. The space, snugly set inside Beauty Bar, houses a long couch for foot treatments, as well as a low-rise bar for hand services. Two thumbs up for: The All-Out Diva Manicure/Pedicure Combo, an hour-long treatment-"the ultimate "facial" for your hands and feet. The session starts with a deep exfoliation treatment, followed by a soothing arm/hand and calf/foot massage. If that isn’t enough to make you want to go to sleep, there’s a paraffin dip that smoothens your skin (and boosts circulation in your joints). The luxurious treatment is capped off with a polish, although I opted for buffing-"which looks just like clear nail polish (without the fuss of drying). 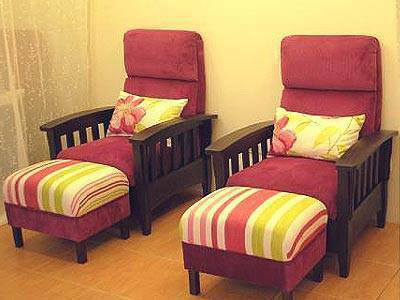 How much to shell out: A manicure and pedicures starts at P405. They also offer skincare services (facials start at P480) and massage therapy starts at P295 (30 minutes). The Lowdown: The interiors are a strange mix of corporate meets tween’s room (pink and purple couches, boxy desks, fluorescent lamps, leather swivel chairs and nail technicians dressed in flamingo pink tailored pantsuits), but all motifs aside, the hand and nail treatments are worth coming back for. Another plus are the mall locations -"you can’t ask for a better place to rest your weary, shopped-out feet. Two thumbs up for: Their very impressive nail-buffing technique. Their technicians use a small drop of gel-based solution that gets massaged into your nail bed, then each nail is meticulously burnished with a buffing tool. I’ve seen well-buffed nails before, but the C.A.N.S. buff leaves your nails looking wet and shiny, they look like they have a fresh coat of clear polish on them. Plus, this coat lasts for a little over two weeks. How much to shell out: Treatments start at P100 for the Natural Manicure and P120 for the Natural Pedicure (both include cleaning and buffing), and can go as high as P450 for the Totally Polished Spa Manicure and P525 for the Totally Polished Spa Pedicure (both include a luxurious soak, callus removal, aromatic salt scrub, manicure or pedicure, relaxing massage and therapeutic paraffin treatment). The lowdown: Get Polished! (the Parañaque branch) is decked out in an eye-popping combo of purple and yellow accents, with bossa nova cover song-soundtrack. There are only six service chairs available and the customers pour in during weekends so better reserve a slot. Two thumbs up for: Spoil your feet with the Get Polished Spa Pedicure (P350), a 10-minute soak and a scrub. Choose the scent you want (mango-banana, lavender, melon, peach, citrus or cucumber) for the foot-to-knee salt scrub. It’s the customer’s call as well for the nail care; the staff asks for your permission every step of the way (cuticle removal, nail filing, nail polish application, nail drying). Go crazy with their imported nail polish: Essie, Opi, China Glaze, Color Club and Orly. For long-lasting perfectly polished nails, opt for the nail drier (no annoying bubbles!). If you want more daring digits, add rhinestones (P10 for every small piece and P15 for every big piece) or try their nail art (P250 for fingers and P300 for toes plus P50 for every additional design or color). Also, take advantage of their summer promo: the Get Polished Spa Mani & Pedi for P550 is available until May 31. How much to shell out: Start with basic treatments-"Express Manicure (P150) and Express Pedicure (P180) for the shaping and painting of your nails. If you want to really pamper yourself, go for the Luxe Manicure (P380), which includes a soothing soak, salt scrub, detox clay mask, extended hand massage, as well as the nail shaping and paint job. The Luxe Pedicure (P550) is just as relaxing. The lowdown: To avoid the afternoon mall rush, get your nails done at Luxe in the morning. The shop has had to turn away customers many times before. If you plan to have your nails done in the afternoon, make sure you call first to make a reservation. Then, when you get your nails painted, ask for a double coat of polish and wait for your nails to dry naturally. Quick-dry oil is offered as an option but it’s better to wait it out so you won’t compromise the quality of your chosen polish. Two thumbs up for: The cozy-yet-classy atmosphere-"plush chairs, padded footstools, pillows, and soothing lighting-"allows you to de-stress completely. The place is also very clean and is well-maintained by its attendants. The hand massage alone is already worth the price. The place can also be closed off for private mani-pedi parties. 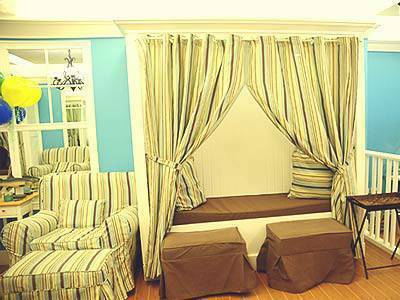 How much to shell out: Hand and nail treatments start at P150 (The Paradise Cruise Express Manicure) and have a ceiling of P2,500 (Marine Gel-ly Fish Nails, a form of nail extension). The Lowdown: The entire establishment is beach-inspired-"from the chaise-lounges, marine life-printed pillows and curtains, and names of all the services (names like Atlantic Sea Moist Paraffin Manicure and Sea Surf Foots Spa with Algae Wrap). Spa enthusiasts can get their mani pedis as well as full body massages (The Long Beach Full Body Massage is P600), while those preparing for a trip to the beach can opt for waxing treatments that go for as low as P350 (armpits) and as high as P1,200 (Brazilian). Two thumbs up for: Workmanship and good service, even if there’s nothing extraordinary about their treatments. Their affordable prices and store location also make it easy for a mall rat to take a break from shopping and get a quick mani pedi in a summer-inspired setting. How much to shell out: Treatments start at P150 (Glamorize Me Manicure, which includes a cuticle clean-up, olive scrub for gentle exfoliation, heated mittens for deep moisture, massage for relaxation, and polish application from base to top). The Spoil Me foot spa (which includes a refreshing footbath, relaxing soak in a massage whirlpool, intense exfoliation, moisturizing foot massage, hot towel wrap, and an indulgent paraffin dip using Depileve paraffin wax costs P620. The lowdown: You’ll love this place for their affordable packages, backed by their service-driven technicians. Plus, should the polish chip, they offer a 48-hour warranty so you can have your nails retouched for free. Two thumbs up for: Their very affordable signature foot spa (P250), which includes a foot bath, foot soak in a massaging whirlpool, and scrub using either aloe vera or tropical fusion gel scrub. They also offer a free hand massage, cucumber eye mask, and a refreshing cup of green tea each time you visit. How much to shell out: Treatments start at P190 (Express Hands, which covers cleaning, a five-minute massage, and polish), and can go as high as P1,410 (Paraffin Bliss Feet), a luxurious treatment that soaks, scrubs, cleans, massages, and paints your digits with designer nail polish. You take home a complementary nail spa kit, too). The lowdown: There’s nothing like ending an afternoon at the mall with an indulgent Mani Pedi. 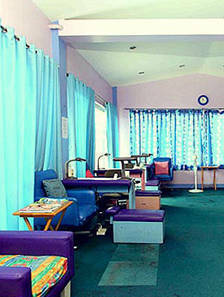 The highly trained staff waits on you hand and foot as they clean, buff, massage, and nurse your digits to perfection. Two thumbs up for: Bliss Hands (P600) and Bliss Feet (P995), ultra-pampering experiences that involve a thorough scrub, cleaning, Reflexology (a must!! ), designer polish, and a complimentary junior nail care kit. The nail technicians do everything to make you comfortable and know how to spoil you down to the smallest detail, like expertly placing their fluffy pillows under your arms and legs so that you never get strained. How much to shell out: The package to beat: Mani-Pedi-Foot Spa and Back Massage for just P330 (The Classic) Or just get the Express Mani-Pedi for P300. The lowdown: Nail Tropics (the Greenbelt 5 branch) takes the Zen vibe to the max with its relaxing Modern Asian interiors set to the soothing sounds from a water feature and spa music. Eight reclining chairs (usually all occupied) pack the small but well-appointed space, but with enough room per customer. There’s a private adjoining room for the more intimate waxing treatments. Surgical-mask-wearing "Nail Artisans" are well-trained and take their "art" seriously. A few customers have noticed that their nail polish lasts longer when they get their nails done at Nail Tropics-"maybe it’s the Artisans’ application technique. Not too crazy about their denim uniforms which don’t really blend with all the Zen, but that’s just quibbling. Frequented by expat women. Two thumbs up for: Great value for money along with their competent, polite service and comfortable ambiance. Check out their Create and Rescue nail repair treatments for distressed nails (P160 up) and their Executive Paraffin Pampering services (P550 and up) which bestow TLC to your nails with luxurious ingredients like olive oil, warm milk and shea butter. 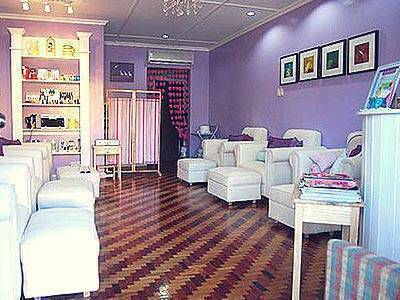 How much to shell out: Their most basic mani and pedi each comes with a massage at P150 and P215, respectively. 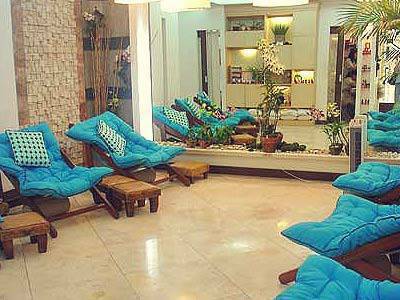 A pedi with foot scrub costs a reasonable P460, and their special Coffee or Tea Scrub is at P675. The lowdown: Don’t let the hot pink and bright purple pillows fool you-"Posh Nails caters to grown-ups as well as tweens. They also have a great selection of polishes by OPI that range from bold, bright colors to natural, subtle shades. Two thumbs up for: Their friendly and welcoming staff. We hope it wasn’t just because the branch we visited is new (their Galleria outlet doesn’t officially open until July), but their attendants seemed genuinely happy to accommodate clients and carry out treatments according to your preferences. How much to shell out: Manicures start at P190 and pedicures start at P220 (without polish) while foot spa treatments start at 700. Sculptured nails or nail extensions start at P1,200 while nail art starts at P40/ nail. The Lowdown: The interiors, bathed in a palette of soothing blues and whites, instantly preps you for a session of pampering. What to love about Tips n’ Toes: comfy lounge chairs, plump pillows, a stack of international magazines at your disposal, and nail polish choices include Essie and Opi. Back to basics cleaning with polish (P250 for manicure/ P280 for pedicure) are done by deft attendants and a quick foot rub (or hand massage) after the cleaning gives your hands and feet a much-needed rubdown. Two thumbs up for: Clean interiors, professional attendants and a relaxed ambience, sans the fancy add-ons make a trip to Tips n’ Toes worth the trip. 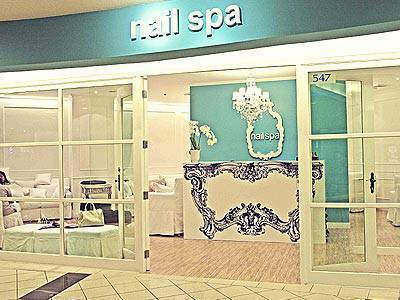 They also have branches located in malls, allowing easy access for mall-goers in need of a quick mani and pedi. Photographs from Dashing Diva, California Nails and Day Spa, Nail-a-holics, Nail Loft, Nail Spa, Jamie Arcega of Southbound.ph, Posh Nails, Tips n’ Toes. Get Polished! Nail Spa, Luxe Nail Lounge, Nail Spa, Nail Tropics, Posh Nails, Tips n’ Toes.